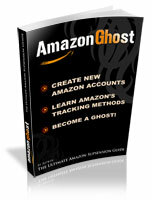 I will be signing up for a Pro Account for Amazon. During the verification process when Amazon requests ID/DL/Passport, should the address on the stealth ID/DL/Passport be any stealth address or does it have to match the address where the LLC is registered (the UPS store)? how can your address on your id be of a UPS store?? ?